Call to Action: Send us your Conan Exiles clips, fanart, videos and screenshots! I think you do not have to reveal your base. Mostly, I feel the thread is about remembering and recording the passing year. The first time I took on a dragon in the unnamed city, I was mostly a lower level still. I killed one of the small ones and thought, “that wasn’t so bad.” So I poked around a little longer. Then the big one showed itself. I was jumping and hauling and doing very little damage. I ran into a wall and climbed it to a safe level to heal. I thought the dragon left, it was dark, very dark. I started to climb down, and the dragon attacked, I was scampering back up when I ran out of stamina. I fell and was thinking, “Is this where I am to die?” But the fall was very short as I landed on a ledge. I stood there, on the ledge, shooting arrows until I had nothing left to throw, then leaped into the “fire.” I fought gallantly but with the idea that I was dead already. Most of my bar was corrupted. No life, no stamina, no more arrows. I would be a great story if I could write that my “last efforts” turned into a win, but the truth is, when I saw the opportunity, I ran to safety. yelling at the gods, because it’s raining again ! …time to give the players on my server a good kick! Totally agree, there many stunning and beautiful realisations. People are very skilled and do amazing creations. Sure, there is a difference between showbuildig, and efficient bases, that’s a fact. Also if your server has to handle a full staff of crazy builders, it may have a hard time. But i really enjoy watching these contests lot ! It came out of the sky! My needs are simple. At some point all the buildings have been build, all the beds have been slept. But there is no end to my urge to disembowel happless people. Please, add more organs to put on display. Ynris’s famous good bye party! 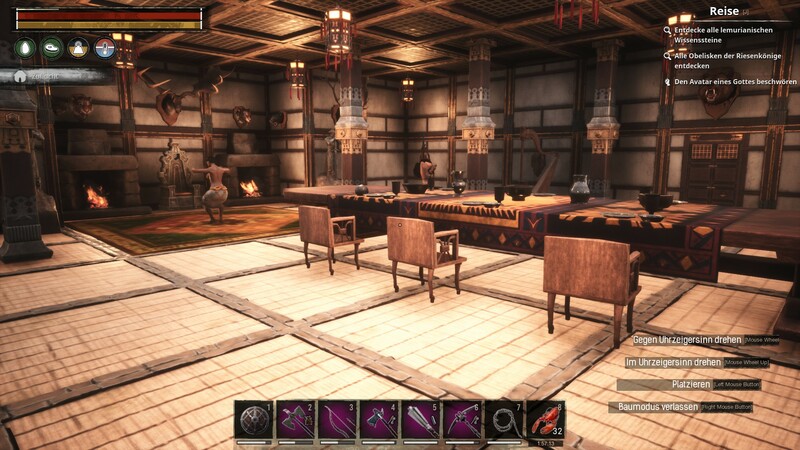 Some pictures from our server The Bouncers Friendly RP PVE server. We have a few mods installed mainly for building pieces.